The screen has faded to white for the classic drive-in theatre. Outside Anacortes in Washington state, you'll find the remains of this drive-in. 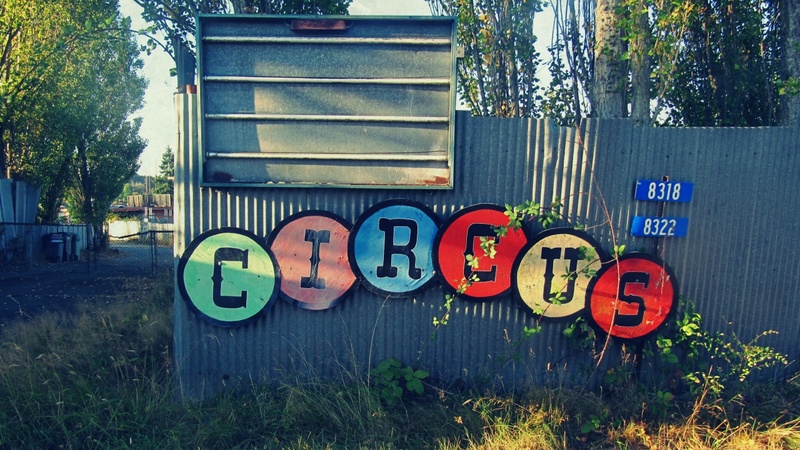 The screen at the Circus went dark more than 30 years. 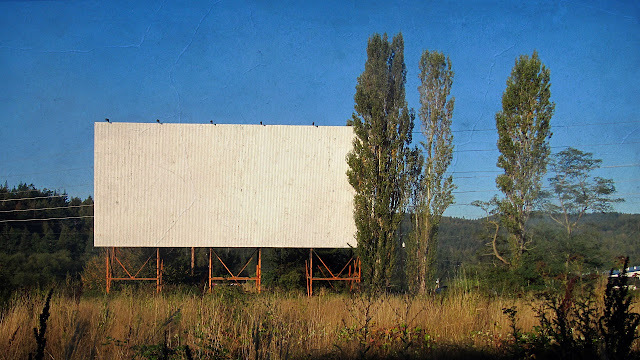 I've mentioned before in this blog that I have fond memories of going to the drive-in when I was a boy. At a time -- the mid-60s -- the number of drive-ins across North America was at its peak. By the 70s though they began to disappear, due to a number of factors, such as the increasing price of gas, the emergence of the VCR and even the widespread adoption of daylight savings times, according to Wikipedia. Today, ratty screens, crumbling concession booths and dilapidated marquis' are all that remain of the few left standing.